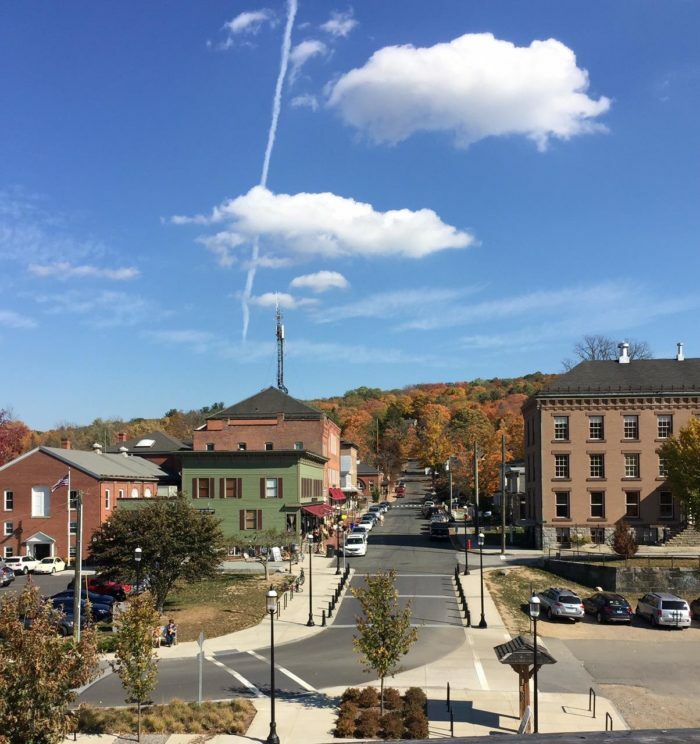 Tucked into the steep hills that curl along the Farmington River, Collinsville is a funky little village boasting natural beauty, artsy charm, and an interesting past. 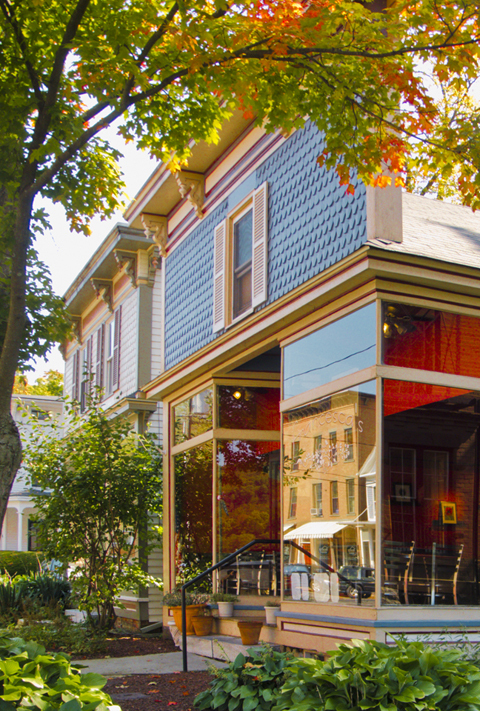 What makes Collinsville really cool is the way contemporary artists, businesses, developers, and residents use old buildings for fresh purposes. 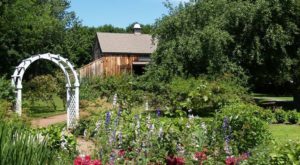 The result is an eccentric town unlike any other, and Collinsville residents wouldn’t have it any other way. 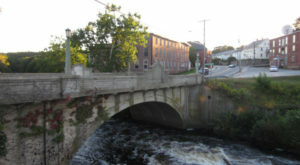 Collinsville was named for the once-world-famous Collins Axe Company. Since the factory closed in the mid-1960s, much of the space left behind has been creatively re-purposed as art studios, artisan workshops and an antiques emporium. 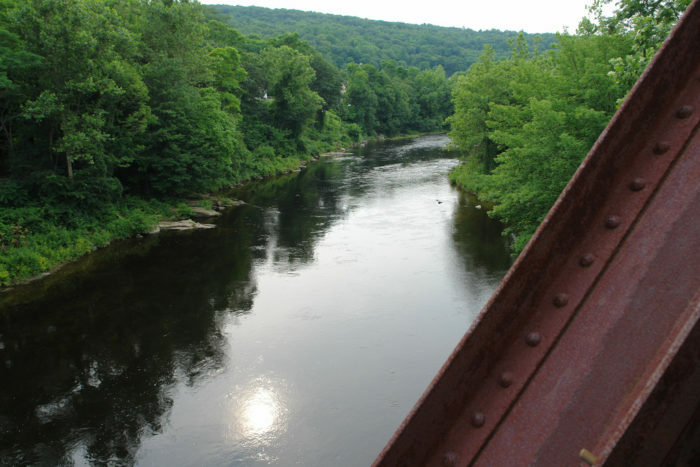 The Farmington River Trail winds through Collinsville. 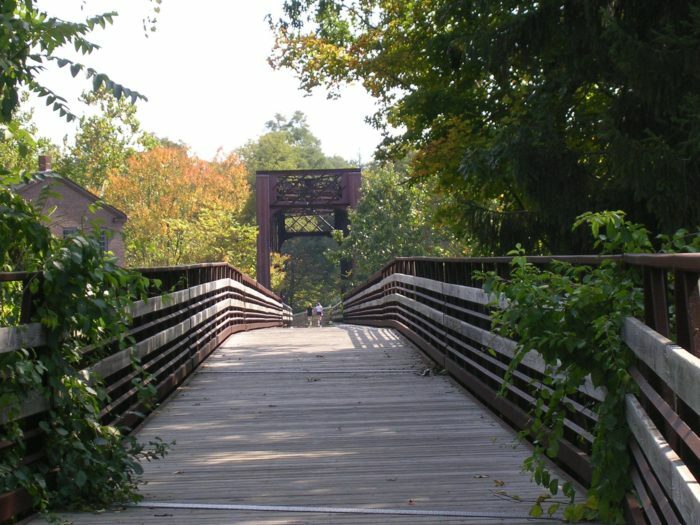 Follow it over this bridge for a walk or bike ridge along the gorgeous river. 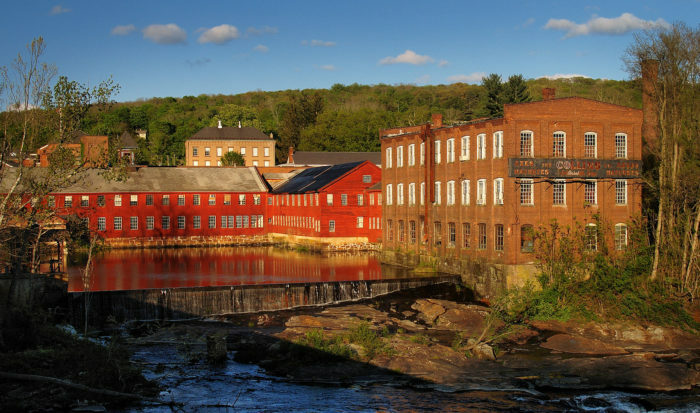 The view of the river and old mill buildings is absolutely spectacular. 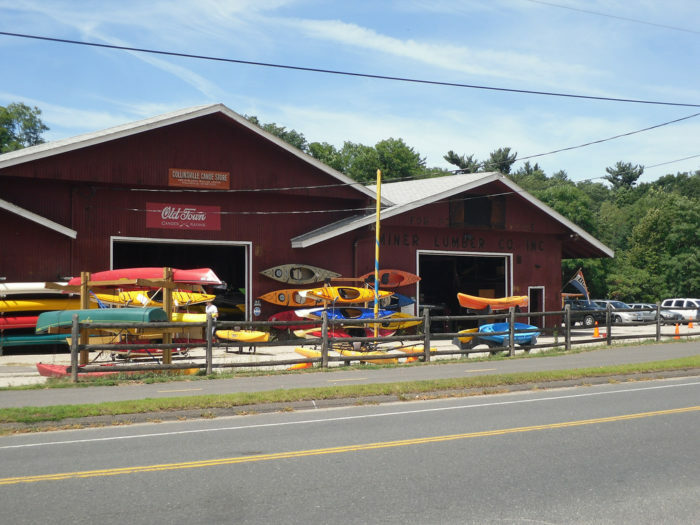 Rent a canoe, kayak, or paddleboard from Collinsville Canoe & Kayak for a different view. 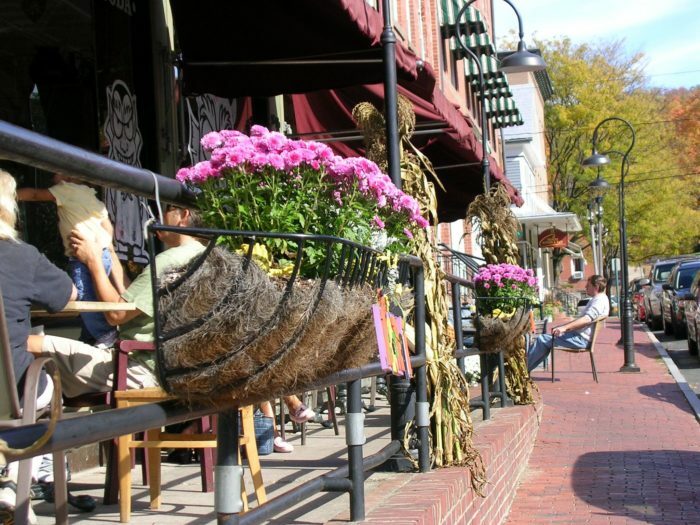 The small but lively main drag is packed with interesting, locally-owned shops and restaurants. 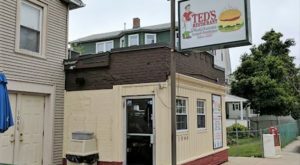 While the storefronts haven't changed much over the years, the businesses have evolved along with it. Not all of Collinsville is exactly as it seems. 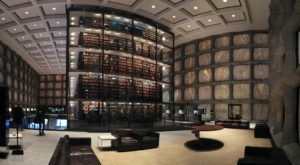 Some of the historic buildings might look like they're two stories, but it's really just a facade. 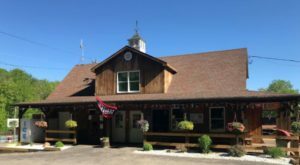 Sit outside at LaSalle Market, Collinsville's go-to place for a casual lunch. 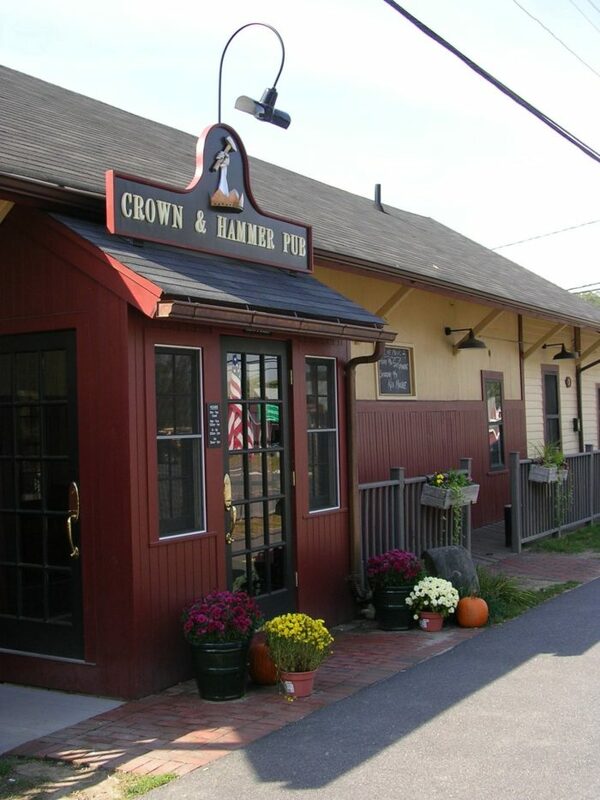 Lisa’s Crown & Hammer Restaurant & Pub is housed inside Collinsville's old train station. 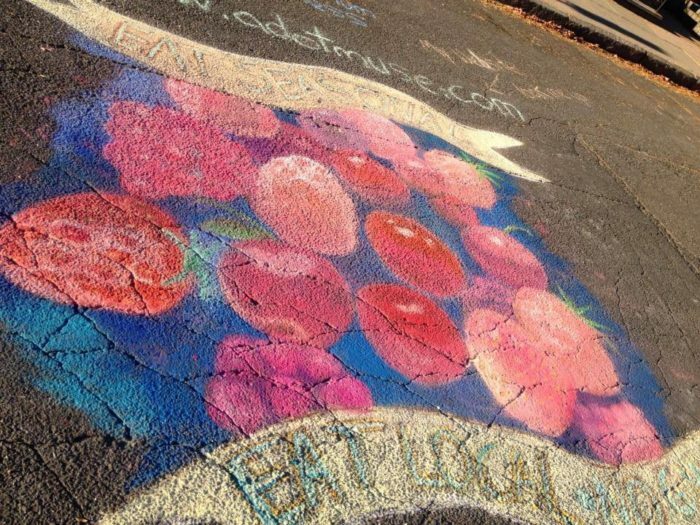 The Collinsville Artists Cooperative infuses the town with whimsy. 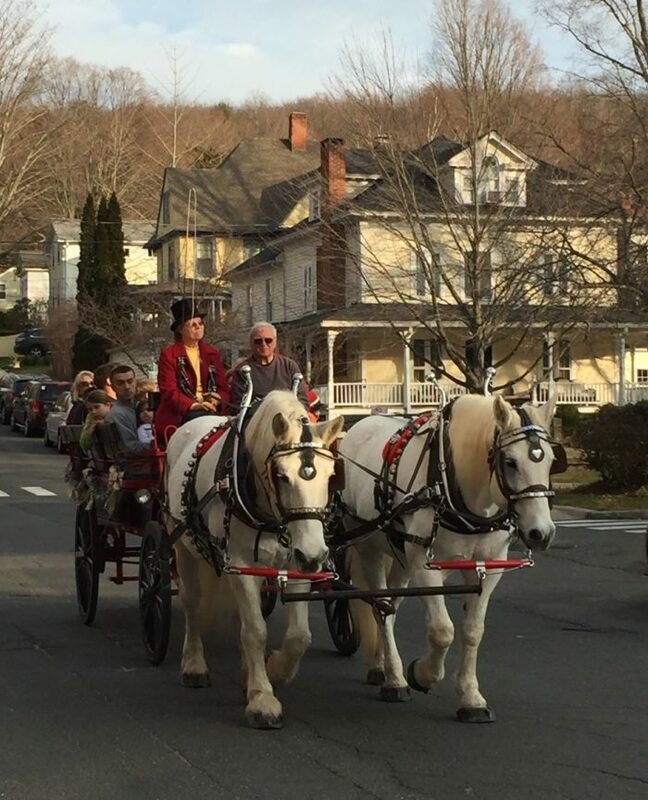 Horse-drawn carriage rides pay homage to the town's past. 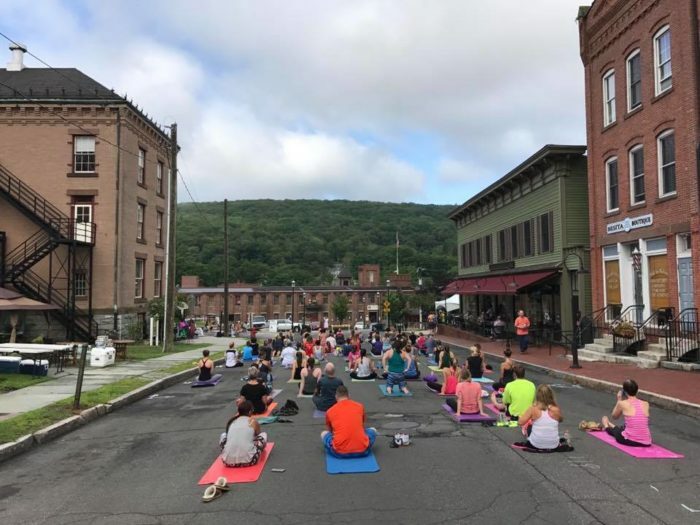 Yoga classes in the street keep the town in the present. 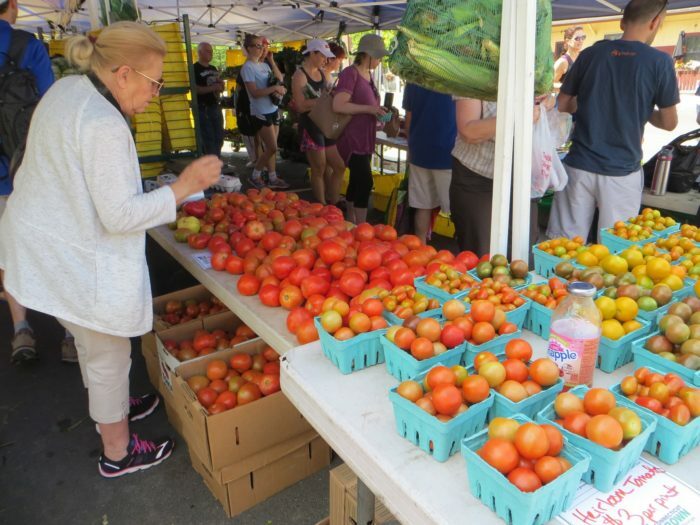 Buy from local farms at Collinsville's weekly farmers market. 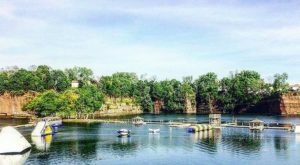 Collinsville may be an eccentric town, but there’s something for everyone here. 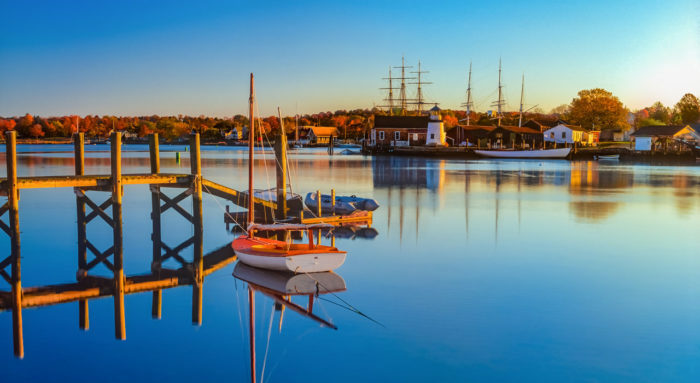 Whether you want to rent a canoe, ride a bike, view art, shop, take a yoga class, enjoy a concert, or just eat lunch, Collinsville has just what you’re looking for. 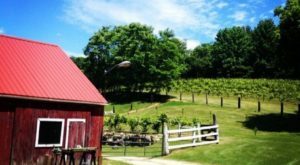 How would you spend a day in Collinsville? Share in the comments! 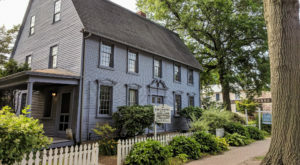 For another unique Connecticut town, check out Old Wethersfield.